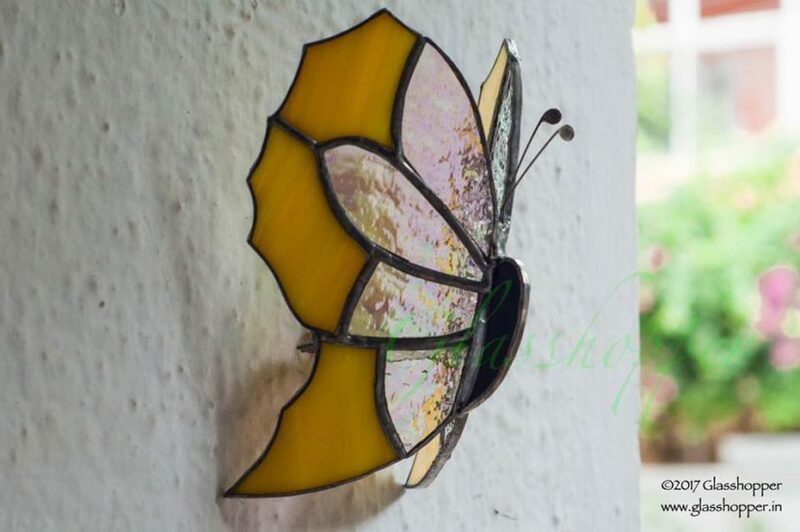 The story of my butterfly wall tea-light holders goes back to 2009. 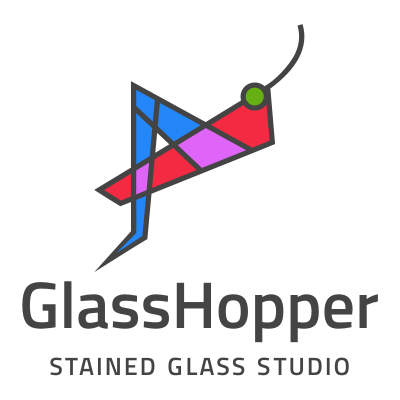 I was a fresh student/ artist of stained glass work and I had made a 2D version of a one sided butterfly in stained glass. 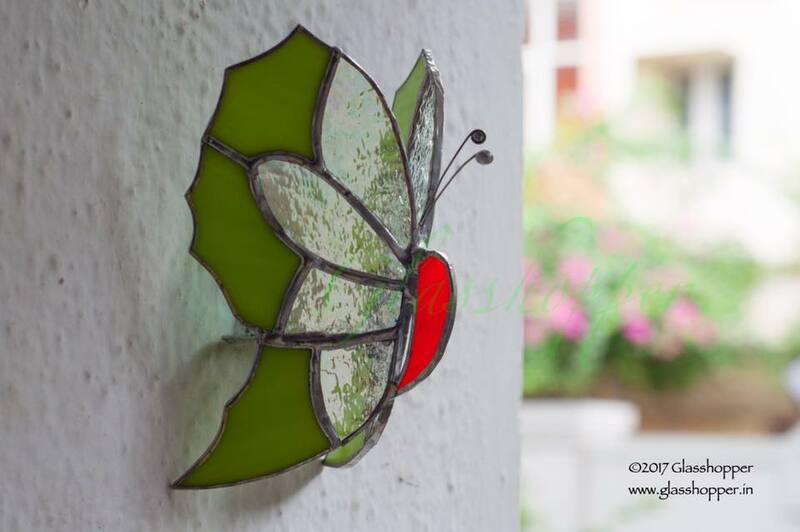 In December 2009, when the management at Olive Beach restaurant (Wood St. Bangalore) called me for their Christmas decor, they were keen on having tea light holders on their wall opposite the bar and as I got busy suggesting design for the same, the manager there asked me if I can convert the 2D butterfly into a 3D design and give it a small flat glass piece at the back to keep the candle, and I was thrilled at the idea. ‘This’ is the design I made then, about 12 butterflies were made and put up at Olive Beach 🙂 only to have put aside later, as this is a tedious and mathematical design to be honest. Re-introducing these butterflies once again, after my friend and my photographer @Suchi insisted that this must be re-crafted and believed in the design.